Kate Reeve's Chem 3U Blog : Unit 5: Go Local...or Maybe Not? Unit 5: Go Local...or Maybe Not? In Unit 5 of our Gr. 11 chemistry course we explored gases and atmospheric chemistry. We learned about the dangers an excess of carbon dioxide has on our environment. We are the main producers of carbon dioxide, which is one of the main contributors to climate change. The local food movement has really taken off in the past 10 or so years. It's claimed benefits are driving health and environmentally conscious consumers away from the aisles of their local Loblaws and down the gravelly paths of their neighbourhood Farmer's Market. An Iowa based study, led by Dr. Rich Pirog, found that, on average, produce travelled about 1,500 miles before reaching dinner plates. Conversely, locally sourced food was found to typically travel less than 50 miles from farm to table (Pirog, 2008). Really, the concept of 'eating local' seems pretty common sense. Produce is fresher and riper, local farms are supported, gas emissions from transportation are drastically reduced, and everyone is happier. In fact, a Canadian study estimated that replacing imported food with locally grown/produced items would save nearly 50,000 tons of transport related carbon dioxide emissions - or taking over 15,000 cars off the road for good (World Watch Institute, 2013). But WHAT is actually local food? Are green peppers grown in Kingston local to us in Ottawa? They're a lot closer than California, that's for sure - but what does that mean? This is one issue with trying to figure out whether or not the green food movement actually is greener - there is no long standing definition of what local food really is. Since the publishing of the '100 Mile Diet' and other such books, 100 miles or just over 150 km is seen as the typical boundary. "A 100-mile radius is large enough to reach beyond a big city and small enough to truly feel local. And it rolls of the tongue much more easily than the 160-kilometer diet" (Alisa Smith, 2009). This seems like a perfectly valid way to think about local food, but it doesn't have much to do with environmental costs and benefits. Food miles, in some cases, don't actually determine how environmentally friendly the product may be. For example, trains are 10 times more efficient at transporting cargo than freight trucks. So eating potatoes from 100 miles away transporting by truck, or eating potatoes from 1000 miles away transporting by train have pretty much the same amount of emissions. It's also important to note how a foods are grown and what impacts that process may have. Swedes, in fact, are better off eating tomatoes grown in Spain than down the street, because Spanish tomatoes are grown in open air fields, while their own must be grown in fossil fuel heated greenhouses (Annika Carlsson-Kanyama, 2012). To get a true, comprehensive scope of the environmental impacts caused by our food system, you have to track the greenhouse gas emissions through all phases of the food's production, transportation and consumption. This method was created by two scientists, Weber and Matthews, from Carnegie Mellon University, who coined the process 'life cycle analysis'. They weaved together data from environmental agencies, trucking call sheets, and a variety of other US government sources to discover that the actual transportation accounts for only 11% of the total emissions. The two found that the most emissions actually occur before the food even leaves the 'farm' gate - over 83% of emissions occur from agricultural production (Drs. Weber and Matthews, 2009)! Another clear pattern that emerges, according to Dr. Garnett from MIT, is that the type of food in question can have a big impact. In fact, the emissions generating from the meat and dairy industries account for more 53% of all food related emissions worldwide (World Watch Institute, 2012) and much more than all transport emissions globally. "Broadly speaking, eating fewer meat and dairy products and consuming more plant foods in their place is probably the single most helpful behavioural shift one can make to reduce food-related greenhouse gas emissions" says Garnett. Weber and Matthews point out that even if food miles were reduced to 0 - an almost impossible goal, by the way - this would only reduce emissions by 5 - 11%, but replacing red meat and dairy with fish, eggs, or even chicken one day a week is the equivalent of saving 760 miles of driving emissions. Even better, replacing meat or dairy with veggies one night a week would be like driving 1, 160 miles less. Wow! Now, all of that said, let's return to this concept of 'eating local'. What we didn't discuss earlier are some un-food mile related benefits that locavore eating can bring about. Local foods are often seasonal and much less processed, both of which are associated with lower green house gas emissions than conventional foods. Local foods found at farmer's markets or from CSAs are also often organic, which typical is greener, as the emissions produced by the creation, transportation and application of chemical fertilizers are eliminated. Organic food also has some other benefits; less use of toxic anti-pesticides and other chemicals is much easier on ecosystems and encourages greater biodiversity, organic fields require less irrigation (normally). Additionally, local farmers are typically smaller scale and can therefore adopt more sustainable practices to meet market need (Wolfe, 2003). 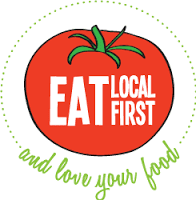 Let's not forget about the relationships and community eating local can foster either - knowing where you food is coming from and meeting the grower face to face is quite remarkable. As local food is so often discussed only in terms of it's mileage, we tend to forget about it's other benefits - but as Gail Feenstra says (a food analyst at the University of California), a food's carbon footprint "can't be the only measuring stick of environmental sustainability". According to local food advocate Sage Winn, eating local is about "how those [foods] were farmed, how the farm workers were treated" - a sprawling collection of ecological, societal and economic factors combine to form true sustainability (Winn, 2003). In my opinion, eating local is a pretty cool thing to do. 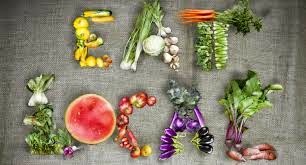 Going vegetarian or vegan, even one night or two a week, is also a fabulous option for reducing your carbon footprint. My Mom and I actually shop at our local farmer's market every Sunday morning - for the yummy foods, the sense of community, and honestly, how much fun it is! As Canadians, going local is a little harder in the winter, when our only 'local' produce are pretty much potatoes and last season's apples! 1. Would you go local? Why or why not? 2. What's your opinion on food miles? Do YOU think they're important? 3. Explain why carbon dioxide emissions are so bad for the environment? Carbon dioxide seems pretty normal, right? Hey KR! I most definitely see the advantages of going local and eating organic foods. I love farmer's markets for a few reasons: the people, the overall experience and the tasty food. There are too many advantages of going local to even count. But, one whopping disadvantage I have noticed is that going local and eating organic food is often much more expensive than simply buying from your grocery store. The farmer's market my family often goes to is much more expensive than any produce we normally buy, and as was the basket of organic fruits and vegetables we had delivered to our house once a week a few years ago. When it comes down to it, for many people money is a bigger factor than personal health/health of our environment (think about how many people eat at McDonald's!). Overall, I think more grocery stores need to work on selling local foods for reasonable prices. When farmers and grocery stores can work together to make local food accessible and affordable, going local will no longer be a debate - it will be the obvious choice. Before reading this post, I never really understood how big of a difference eating local makes. I always assumed it was more for the organic, more natural produce than for the environment, and that it was more of a cultural trend than an informed choice. I can't believe how much more carbon dioxide trucks produce than trains, and how much more meat and dairy produces than vegetables, eggs and chicken! I totally agree with Charlie; price is a big factor for families when deciding where and what to shop. However, I do think that (on a global level) minimizing transport by trucks in favour of trains, and on a personal level choosing to cut out red meat and dairy would make a huge difference, with minimal downsides. This really opened my eyes Kate! I may talk to my parents about making a lifestyle change. In my family, we try to go organic as much as possible, as it eliminates a lot of the processing that goes on with food. I think that we should try to reduce food miles, but at the same time, I also agree that it’s important to look at everything else that goes on with production. Not too long ago, my family bought a cow (well, its meat anyway) from a neighbor. It certainly wasn’t as good as meat from the store (except for the hamburgers which actually are better) but it felt a lot cleaner eating it. Plus, we knew where it came from and how it was treated. I think that the cost of eating healthy is worth it. But let’s wait until the day that sinks into the minds of large production companies. Sadly that may be less true than you would think. Organic farms are less regulated due to their organic state, it is assumed that they are regulating themselves. This allows them to use more "natural pesticides" which are unregulated, and more harmful than synthetic ones. As well the distance the food travels, local or not it needs to be processed such that it will stay safe for a certain period of time. Anyone who has tried to avoid meat with nitrates understands the struggle, even those without nitrates will contain celery extract or similar compounds which have high levels of nitrates to keep the meat fresh. At the same time it can be good to buy from a local butcher for more reasons than just health. They will usually have more rare parts of the animal and will sell cheaper parts that you normally couldn't buy. A good example is blood, try making black pudding without it, try asking a clerk where they keep the cow blood only to have him give you a frightened look and call the police once you leave. "Breast Lumps and Breast Examination." Patient UK. Patient UK, 13 Aug. 2011. Web. 26 Mar. 2015. "Deodorants, Antiperspirants, Parabens & Breast Cancer." Control Your Impact. Control Your Impact, 3 Sept. 2013. Web. 26 Mar. 2015. Mercola, Helen. "Parabens in Antiperspirants May Cause Breast Cancer." Mercola.com. Dr. Mercola, 24 May 2012. Web. 26 Mar. 2015. "Parabens." Breast Cancer Fund. Breast Cancer Fund, 1 Jan. 2009. Web. 26 Mar. 2015. All information taken from Mr. Burgess's 12U biology course. "Airbag Inflation - HowStuffWorks." HowStuffWorks. 6 Aug. 2013. Web. 28 Apr. 2015. "Everything You Need to Know About the Takata Air Bag Recall - Consumer Reports News." Everything You Need to Know About the Takata Air Bag Recall - Consumer Reports News. 11 Mar. 2015. Web. 28 Apr. 2015. Reuters, Matthew. "The Takata Exploding Airbag Recall Just Gets Worse And Worse." Business Insider. Business Insider, Inc, 10 Nov. 2014. Web. 28 Apr. 2015. Tabuchi, Hiroko. "Airbag Compound Has Vexed Takata for Years." The New York Times. The New York Times, 9 Dec. 2014. Web. 28 Apr. 2015. Science for Environment Policy: European Commission DG Environment News Service. University of West England, Bristol. Web. 20 Nov. 2014. "New Method Reveals Nanoparticle Solubility." Chemical and Engineering News. Ed. Lauren Wolf. CEN, 21 Dec. 2011. Web. 28 Apr. 2015. Watt, A. "Biomolecule-assisted Synthesis of Water-soluble Silver Nanoparticles and Their Biomedical Applications." National Center for Biotechnology Information. U.S. National Library of Medicine, 8 July 2008. Web. 28 Apr. 2015. DeWeerdt, Sarah. "Is Local Food Better?" The World Watch Institute. The World Watch Institute. Web. 15 May 2015. "Food and Climate Change." David Suzuki Foundation. David Suzuki Foundation. Web. 15 May 2015. "The Tricky Truth about Food Miles." Shrinkthatfootprintcom. 22 Feb. 2013. Web. 15 May 2015. "Will Buying Local Food Save the Planet?" Montreal Economic Institute. Montreal Economic Institute, 1 Feb. 2013. Web. 15 May 2015. "19-4092 Forensic Science Technicians." U.S. Bureau of Labor Statistics. U.S. Bureau of Labor Statistics. Web. 15 May 2015. "Forensic Chemistry - American Chemical Society." Forensic Chemistry - American Chemical Society. Web. 15 May 2015. Hingelbe, John. "Forensic Science in Canada." Maculae's. Macleans, 5 Mar. 2005. Web. 15 May 2015. "University of Toronto Mississauga." Home. Web. 15 May 2015.